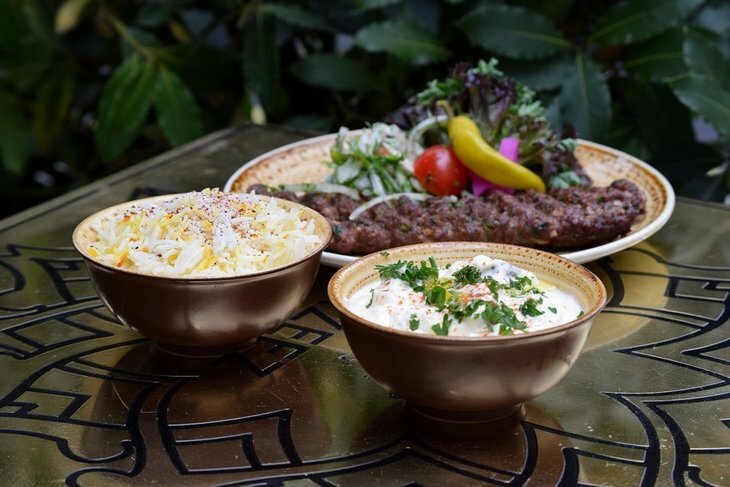 We've walked down the side of Selfridges many times but not spotted Lazeez, a small tapas — or should that be mezze? — restaurant. We may have missed it due to the haze from the shisha smokers who take over the outdoor seating area, which makes up roughly half of the restaurant's capacity. We're not partaking but it does seem like a lot of visitors come here for the opportunity to smoke the water pipes. We're indoors to sample the menu and we kick off with some pitta and houmous — let's face it, we can't start a Lebanese meal without it. 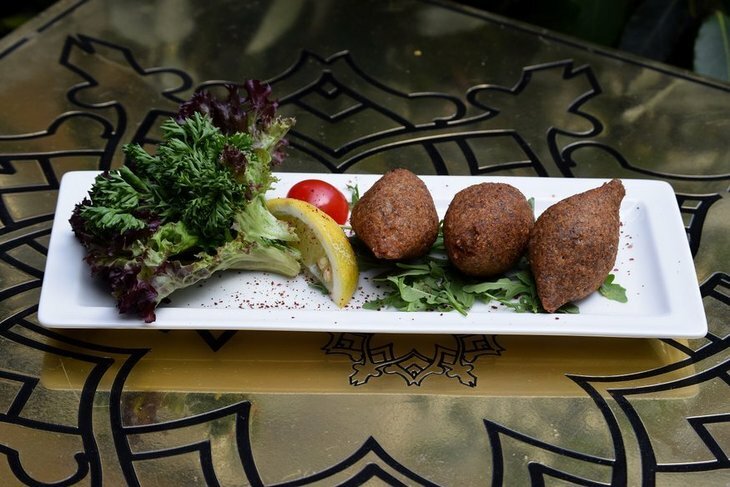 Alongside it, we try falafel and Kibbeh (deep fried lamb pastries that have a satisfying crunch and plenty of meaty filling) to get us started. 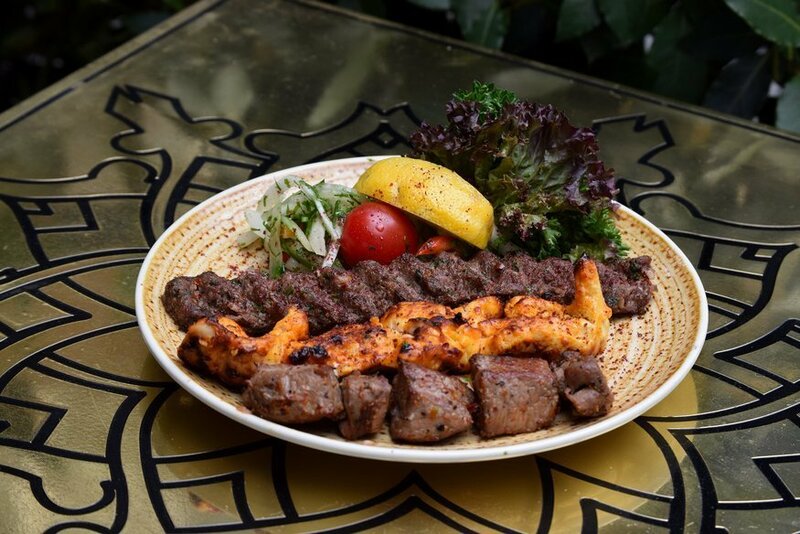 Our past experience of Lebanese meals is that the strength lies in the meat, and Lazeez definitely delivers here. The chicken and lamb are both the right level of tenderness and full of juicy flavour. As with the mezze style of dining, there's nothing so structured as courses and we switch between dishes throughout — the best way to share a meal, if you ask us. The bread is refilled and there are plenty of dips to keep us going. 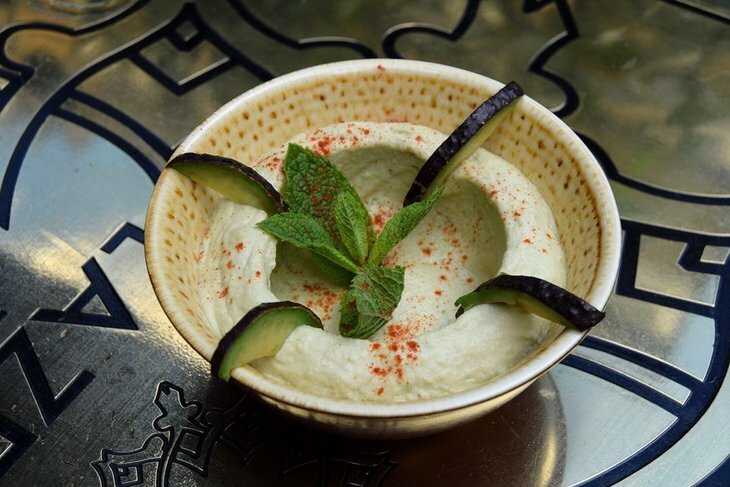 The Motabaal offers an alluring aubergine alternative to the houmous. It's all delicious and we quickly fill ourselves up from the many dishes we've ordered. Finishing off with some mint tea and baklava is a fitting way to bring a proper Lebanese meal to an end. 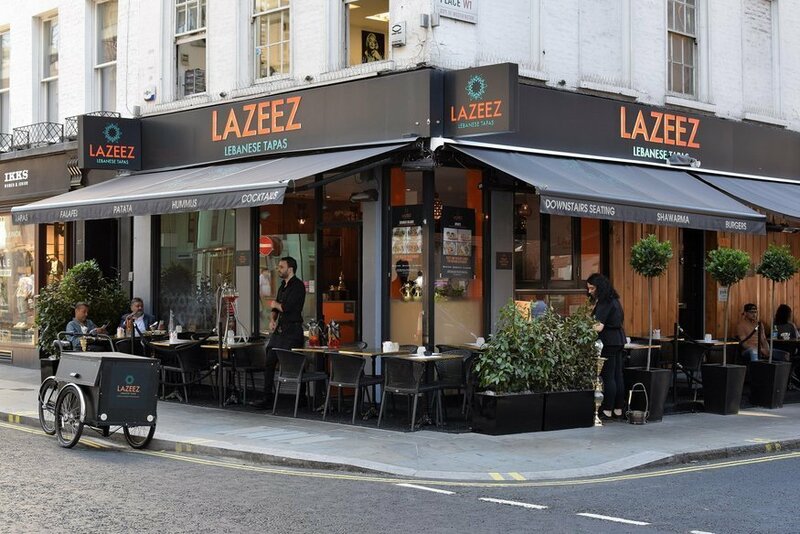 Lazeez Lebanese Tapas, 29 Duke Street, W1U 1LF. The meal in this review would cost circa £25-30 per person, excluding drinks.